Wrexham came from a goal down to cruise to victory over Torquay United at the Racecourse Ground. Josh Carmichael got his first Gulls goal since joining on loan from Bournemouth as Torquay looked for back-to-back wins under new boss Paul Cox. But Dominic Vose side-footed Wrexham level before setting up Connor Jennings to put the Welsh side ahead. Match ends, Wrexham 3, Torquay United 1. Second Half ends, Wrexham 3, Torquay United 1. Foul by Dominic Vose (Wrexham). Attempt missed. Sam Chaney (Torquay United) right footed shot from outside the box misses to the right. Substitution, Torquay United. Tyrone Marsh replaces Alex Fisher. Goal! Wrexham 3, Torquay United 1. James Gray (Wrexham) converts the penalty with a right footed shot to the high centre of the goal. Penalty conceded by Angus MacDonald (Torquay United) after a foul in the penalty area. Penalty Wrexham. Jamal Fyfield draws a foul in the penalty area. Foul by Alex Fisher (Torquay United). Substitution, Torquay United. Sam Chaney replaces Bayan Fenwick. Offside, Torquay United. Alex Fisher tries a through ball, but Alex Fisher is caught offside. Offside, Wrexham. Dominic Vose tries a through ball, but Dominic Vose is caught offside. Goal! Wrexham 2, Torquay United 1. Connor Jennings (Wrexham) right footed shot from outside the box to the bottom left corner. Assisted by Adriano Moke. Josh Carmichael (Torquay United) is shown the yellow card for a bad foul. Offside, Torquay United. Bayan Fenwick tries a through ball, but Bayan Fenwick is caught offside. Goal! Wrexham 1, Torquay United 1. 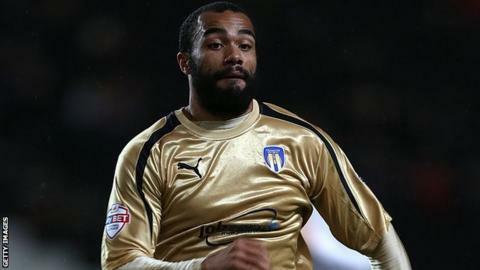 Dominic Vose (Wrexham) right footed shot from the left side of the box to the bottom left corner. Assisted by Javan Vidal with a cross. Foul by Javan Vidal (Wrexham). Attempt saved. James Gray (Wrexham) right footed shot from outside the box is saved. Substitution, Wrexham. Rob Evans replaces Jonathan Royle.